Desjardins, the largest association of credit unions in North America, on Friday temporarily suspended lending for such projects and may make the decision permanent, spokesman Jacques Bouchard told Reuters by telephone. Canadian lender Desjardins is considering no longer funding energy pipelines, a spokesman said on Saturday, citing concerns about the impact such projects may have on the environment. 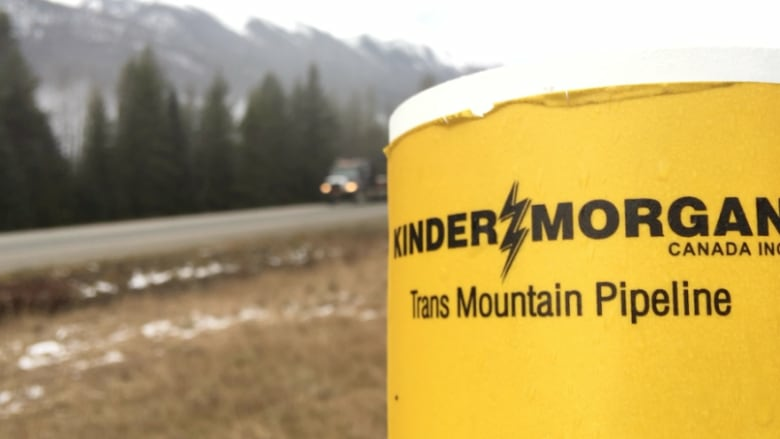 Kinder Morgan Canada shares fall in debut amid political uncertainty in B.C. He said the lender would make a final decision in September. Dejardins, a backer of Kinder Morgan Canada Ltd's high-profile expansion of its Trans Mountain pipeline, has been evaluating its policy for such lending for months, Bouchard said. If it makes the decision permanent, that would likely mean Desjardins would not help finance other major Canadian pipelines projects, including TransCanada Corp's Keystone XL and Energy East and Enbridge Inc's Line 3. Such a move would follow that of Dutch lender ING Groep NV, which has a long-standing policy of not funding projects directly related to oilsands, and is the latest sign that pipelines could have a harder time getting funding as banks face increasing pressure to back away. Patrick Bonin, a campaigner with the environmental group Greenpeace, praised Desjardins for temporarily halting pipeline funding, but called on the lender to make it permanent and reconsider its $145 million commitment to Trans Mountain. Desjardins is among 24 financial institutions that agreed to lend money to a subsidiary of Kinder Morgan Canada, majority owned by Kinder Morgan Inc of Houston, according to regulatory filings. A coalition of more than 20 Indigenous and environmental groups, including Greenpeace, in June called on 28 major banks to pull funding for Trans Mountain, citing the risk of pipeline spills and their potential contribution to climate change. ING, which was targeted by the coalition, clarified it will not fund any of the major Canadian pipelines. The same month, Sweden's largest national pension fund, AP7, sold investments in six companies that it says violate the Paris climate agreement, including TransCanada, in a decision environmentalists believe is the first of its kind.